403km (250.4mi) long Váh is the longest Slovak river. 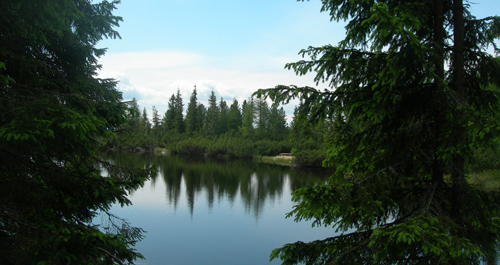 The region along its course is called Považie. Many important towns have been built on the Váh River sides. As it offers great conditions for water sports, for example rafting, it is an interesting tourist attraction. Váh River is formed by the confluence of the Black and White Váh rivers. 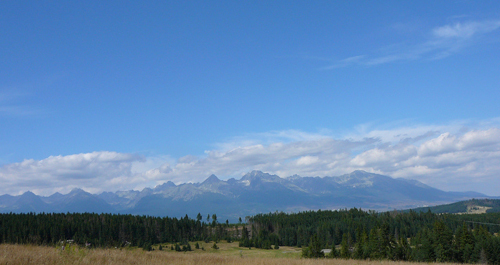 Black Váh springs under the Kráľova Hoľa Mountain and White Váh under the Kriváň Mountain in High Tatras. Váh River has many tributaries: Orava, Kysuca, Demänovka, Ľubochnianka, Nitra, etc. It flows from northern Slovakia to the South of the country where it meets the Danube River as its left and the biggest tributary. 60km (36mi) long Orava River represents the biggest Váh's right tributary. It drains into Váh nearby little village called Kraľovany. 66km (40mi) long Kysuca River is another important Váh's tributary. It springs in Javorníky Mountains and drains into Váh nearby Žilina. 42.5km (26.4mi) long Vlára River also pours into the Váh's waters. However Danube River does not spring in Slovakia, it is our biggest river. It springs in Germany and to Slovakia it flows thorough Austria. It creates 172km (106.8mi) long natural boundary between Slovakia and Hungary; than it goes on to Romania where it pours into the Black Sea. Morava River represents 119km (73.94mi) long natural boundary between Czech Republic, Austria and Slovakia. This 329km (204.4mi) long river springs in Czech Republic and flows into the Danube River under the Devin Castle. Myjava and Chvojnica rivers are its most important tributaries. Myjava springs in White Carpathians and drains into Morava nearby Kúty. Nitra River springs in Lesser Fatra Mountains. This 197km (122.4mi) long river represents the biggest Vah's left tributary. 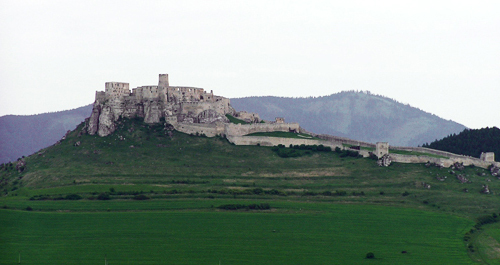 It flows thorough the same-named city lying in southern Slovakia-Nitra. 99km (61.5mi) long Žitava River rising in Pohronský Inovec represents its biggest tributary. Hron with its 298km (185mi) is one of our biggest rivers. 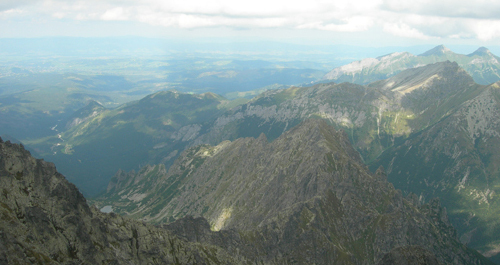 Its basin covers approximately 11% of the Slovak territory. Together with many other Slovak rivers rises under the Kráľova Hoľa Mountain. Hron flows into the Danube River nearby little southern city of Štúrovo. It has many tributaries: Slatina, Black Hron, Bystrica, Bukovec, Havraník, etc. 55km (34mi) long Slatina River springing under the Poľana Mountain is the biggest one. It drains into its waters nearby the city of Zvolen. Ipeľ River rises in Veporské Mountains as well as for example Rimava River. Ipeľ has several tributaries: Kriváň, Tisovník, Suchá, etc. Ipeľ flows through southern Slovakia forming 140km (85.7mi) long natural boundary between Slovakia and Hungary and than it pours into Danube's waters. Most of eastern Slovak rivers drain into the Tizsa River which represents a short natural boundary between Hungary and Slovakia. Slaná River is 229km (142mi) long river springing in Stolické Mountains. The river course on the Slovak territory is only 110km (67.3mi) long, than Slaná flows further on to Hungary. It has several tributaries: Turiec, Hornád, Bodva, etc. Bodva and Hornád rivers meet its waters on the Hungarian territory. Hornád River, being the Slaná's biggest tributary and 19km (11.6mi) long boundary with Hungary, rises under the Kráľova Hoľa Mountain. This 286km (175mi) long river belongs among our longest rivers, however its river course in Slovakia is only 193km (118mi) long. 129 km (79mi) long Torysa River rises in Levočské Mountains. It is the Hornád's biggest tributary; they meet in the Košice Basin. 89km (54.5mi) long Hnilec River springs as many other Slovak rivers under the Kráľova Hoľa Mountain. It flows through Slovak Paradise and Volovské Mountains; than it flows into Hornád River as its biggest right tributary. Dunajec is 251km (153.7mi) long river forming a natural boundary between Poland and Slovakia. The river flows along 17km (10.5mi) of deep valleys through the Pieniny Mountains extending in northern Slovakia. It meets Visla River later on in Poland and drains into the Baltic Sea.